Pros: Super useful if you are looking for in-depth analytics and reporting! Competitor tool is great as well. This tool is a must for improving your social profiles (yours and/or your clients´). It saves you so much time and it is really easy to get running. No more struggling and putting pieces together from complex FB reports. Cons: Was a little disappointed how quickly you get through the 25 profiles, track a couple of competitors and if you enter all their social media you have used up a good chunk. For an agency, you would have to get a bigger plan. But looks like a good deal at the moment. With that being said, it's clear this is a new product and is still a work in progress. 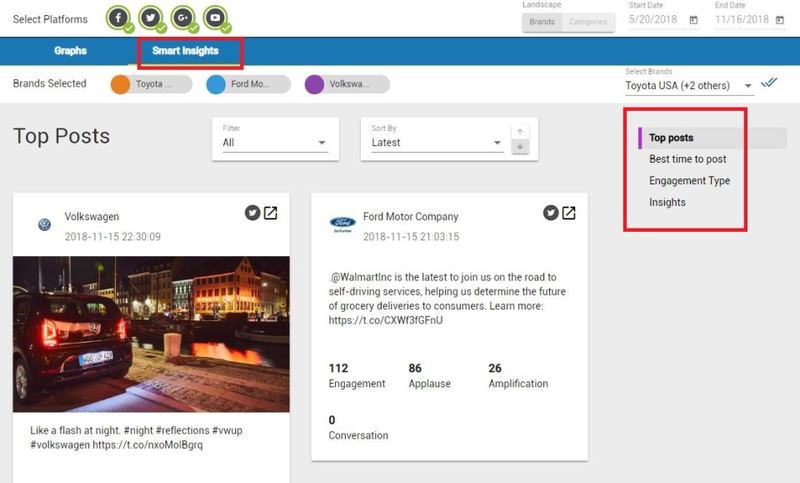 It shows a lot of very promising signs, particularly in the "Smart Insights" tab. Overall: If you're looking for easier setup, ready-to-use, and quick social media analytics tool, Vaizle is your answer. Vaizle makes it all very easy. They also have an exciting public roadmap full of features and enhancements. So you can expect LinkedIn or Pinterest integrations soon. I am using this specifically for creating reports. After buying it in October, the first thing I did was use it to pitch to one of the prospect and they were totally impressed after seeing the report. I could actually tell them what and where are the gaps. Needless to say, it wouldn't have been possible without it. Thanks, Vikas, for the generous review. We will work harder to make Vaizle even more valuable. Pros: If I were a single brand with a handful of peers/competitors I wanted to monitor, Vaizle would be helpful. I like the finished report. Looks great and offers a nice snapshot of reach and engagement for timeline content. Support is outstanding and they are a great group to work with on any questions. Cons: From an agency perspective for reporting, the major negative is the fact that you cannot save report templates. 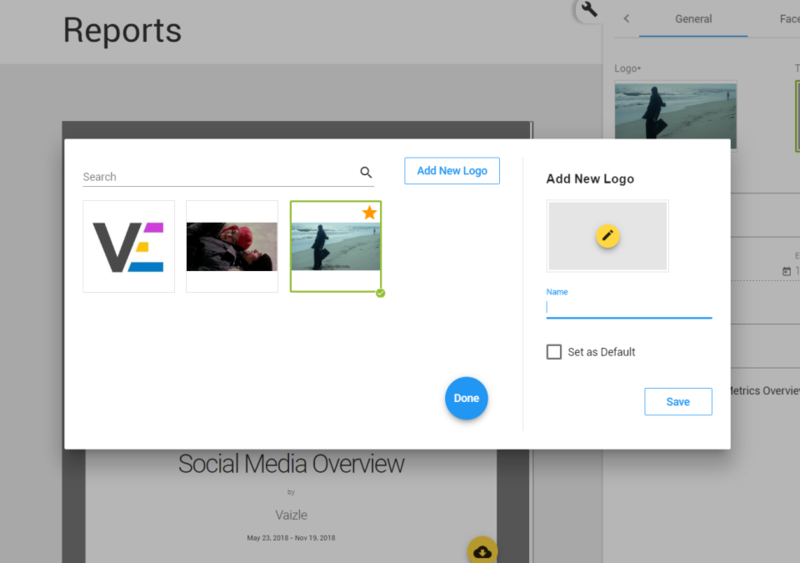 If you use Vaizle for reporting for multiple clients, you have to go in and change the "Self" brand each time you change clients. Then change all the peers. Then re-title and complete the cover page of the report. Then individually go in and add/subtract the components that you want to report on. If we had the ability to save that template and just plug in the brands we want reporting on, it would cut the time by 75% and make this a home run. But the fact that it takes 3x more time investment than it should is a bit frustrating. That's the only reason for lower star-rating. With that fixed this is a solid reporting solution that offers a professional looking set of analytics that you can pass along to clients. Really hoping they get the saved templates added soon and this will be a big tool for agency/multiple client usage. Thanks for such a detailed feedback. We are working on the feature where you can directly report to clients without changing it every time. You can expect it within 15 days. Plus, if you're facing issue while changing the self-brand every time, you can create multiple groups with multiple combinations. In this way, you can simply select the group for which you want to create the report without changing self brand every time. Pros: It's so simple and easy to use there was no learning curve... I was able to dive in and get to work. Really love being able to see what and how our competitors are doing so that we can enhance our game.. Viazle makes that easy to do. Cons: Honestly, I haven't had any disappointments in using Viazle. Everything is front and center in the dashboard. 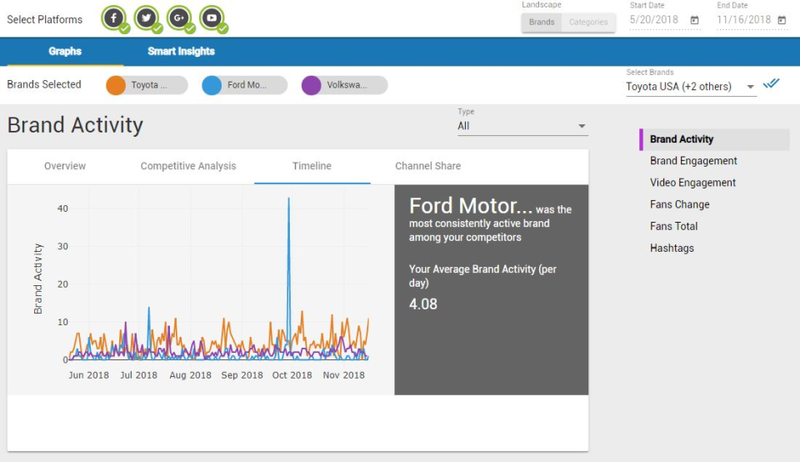 Overall: The biggest benefit we've enjoyed with Viazle is being able to monitor the effectiveness of our posts versus that of our competitors and testing... we've been able to make a few pivots and stay on top of our game. We will keep on working hard to keep up to your expectations. Keep in touch for the future updates and launch. 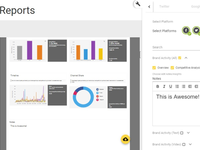 Pros: Vaizle's report section is one of the best, having used similar social management tools. The freedom to customize reports as much as I want. Now there's no need to prepare a separate PPT because can do within the Vaizle report dashboard. You will be happy to know that we have integrated Instagram in the tool as promised. Pros: Easy of use, setting up clients and competitors is a breeze. I like the depth of the metrics available. Cons: Refining the metrics that matter most can be a bit time consuming. This might be remedied with 'recomended metrics' or purpose built setups for specific reasons. Overall: It has maximised my understanding of the competition with reasonably little effort from my end. The software has a lot of potential and it's recommended highly to social media researchers, independent managers and agencies. As you're facing issues with refining the metrics, we have a feature where you can filter the metrics using few clicks. Overall: I use Vaizle to review my work for social media clients and look for ares to improve their results. The reports also make it simple to show the client the results they're getting vs the competition. Thanks Darryl for your feedback. We are keeping a page break to keep things simpler and every metric clear and differentiated from the other. We will soon launch a feature, where you can directly share the report with your client, so you don't have to print it every time. And right now, you can download the report in pdf and share it with the client. Pros: A clear stats overview on the added social accounts for quick comparison. 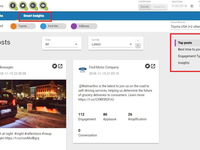 Convenience for any social media agency who wants to generate fast comprehensive reports for clients. 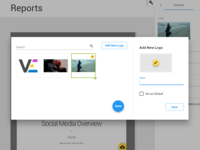 Cons: More localized popular social channels like Xing, etc can be included if Vaizle positions itself and leverages on its customized report feature. Hi Eve, Thanks for your review. We will put it into the process as per the priority. 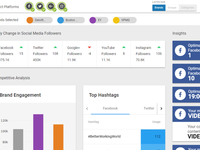 Pros: Vaizle presents a beautiful look at your social stats as compared to you competition. It gives you a good idea of what you'll need to do to up-level your social media game. Cons: The interface is a bit confusing at first, but has steadily been getting better over the last few months. I can be difficult to navigate at first, but the brand offers many how-to videos. Overall: I like using Vaizle as part of my agency's offering! Thanks for the feedback Melissa. We will definitely work on improving the UI/UX and other suggested improvements by you. 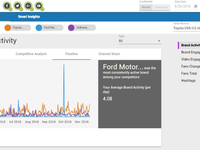 Pros: The analytics and white label reporting features. Very useful for someone running an agency or even for someone who has one or two clients. Cons: The limited number of compares that I have access to at one time. It's not very practical for someone who wants to test things at first. Many of these tools assume that your competitors are set in stone where sometimes you just want to test things out to discover who is really your true competitor and this involves moving profiles around more than the app founders anticipate. When they impose limits on that it reduces the value of the entire platform. Overall: I mainly use it for its white label reporting capabilities. In case you need more profiles under your plan, we can easily help you out with it. That is not at all a big issue. I use Vaizle for Inspiration as well as tracking my won results! Pros: I like the fact that Vaizle makes it easy for me to follow industry leaders in one dashboard. I can see how my marketing and brand activities compare with others and keep a track on my social statistics easily. Cons: I don't think there's anything I don't like about this software! Thanks for your wonderful feedback. We will try our best to keep up with your expectations. Stay in touch for future updates and roll outs. Pros: Nothing at all as we have unable to resolve our initial purchase problems. Cons: The back and forth of emails 24ish hours apart over a week attempting to resolve what should be a simple correction of our account setup. The concept of customer service is non-existent as they would rather drag out the conversation over more than a week with their only recommendation to set up a support calendar link in the middle of the night. Overall: Stay far away as possible as I expect this company will not be around long into the future unless they learn to take customer service seriously. We still have been unable to resolve our problem and have practically given up since they do not care. Still attempting to set an appointment with the calendar link however 1:00 AM is seriously not a reasonable time to expect support. We will definitely work on the suggested feature. As suggested by you, we will definitely work on improving our UI. Stay with us for future updates. Pros: I like that the reports are being generated faster. Cons: The website itself is a bit confusing, like changing the facebook pages took me a while to figure out. I didn't like that I have to spend time watching their Youtube video just to figure out how it works. And we have a support chat on the website which 24*7. So if you don't want to spend your time on watching the videos to understand the tool, you can start a chat with us and we will reply in no time. Plus you can also book a demo with us, so that we can make you comfortable with all the features at once. Pros: Clean user interface. I also like right sidebar with tutorial videos. Cons: It seems slow and I just don't find any useful information. Maybe I have to spend more time with this tool. I use Firefox so warning about not using Chrome is annoying. I would recommend you to schedule a one-to-one demo with us. We will walk you through the tool and help you use Vaizle to its full potential. Pros: Makes it really easy to visualize what we're doing vs our competitors. Cons: Interface is a little clunky, but once you figure it out it's pretty easy. Thanks alot for your feedback. We will definitely work on our UI/UX and keep on improving the tool as per your valuable suggestions.